Garage door malfunctions aren’t only inconvenient headaches. If the door seizes up while trying to open or won’t close entirely, it leaves anything inside the space vulnerable to theft. So you can fix the problem as soon as possible, below are three potential reasons your garage door is jammed. 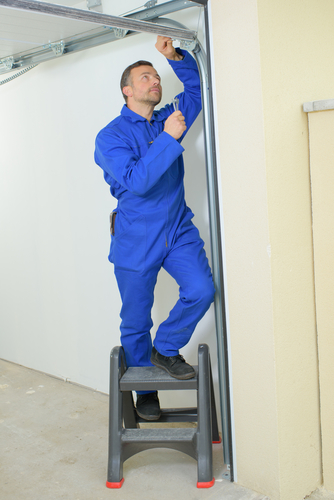 The garage door is a heavy piece of equipment that uses a system of springs and levers to raise and lower the panel. If the torsion and extension springs are worn or damaged, they could buckle under the pressure. If you hear a loud pop when attempting to open or close the garage door, springs breaking is most likely causing the clatter. From landscaping equipment to kids’ bikes, many people fill up their garages with all sorts of stuff. When putting items away, it’s important to keep them away from the garage door. Something could fall on the track and cause the door to jam while opening or closing it. If you’re experiencing problems with a garage door, reach out to Felluca Overhead Door in Rochester, NY, for help. As the oldest garage door company in the area, the knowledgeable technicians have the experience, tools, and training to get to the bottom of the problem and provide long-lasting solutions to extend the life span of your system. To schedule a garage door repair appointment in Monroe County, call (585) 467-2391 to speak with a team member. Visit the company online to read impressive reviews from past clients, and like them on Facebook to stay in the loop on the latest announcements.